Strangeface offer a range of participatory workshops, courses and residencies for schools which can be tailored to suit the needs of your group. Please follow the links for full details of the Making Masks and Using Mask options. Get up close to the masks and puppets before or following the show. 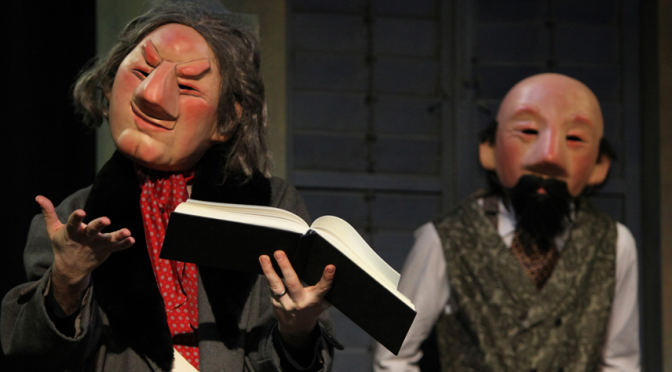 The cast and creative team are always delighted to chat about working with masks and puppets and to answer questions. We make discussions and a tour of the set informal but informative. Join the Strangeface team for a week and find out what goes on behind the scenes when rehearsing and touring a show.